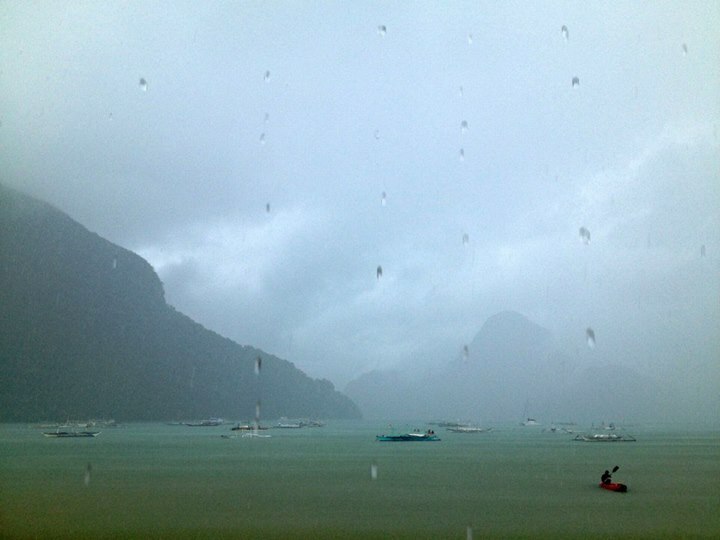 A trip to El Nido, Palawan is supposed to be a respite from the world’s madness, until super typhoon Yolanda came from Visayas barreling to Northern Palawan. Since we were cut off from social media for a while, Mike and I received our daily news of the Visayas tragedy from TV broadcasts, while we got our news feeds of typhoon effects on Palawan first-hand. Our tales of the El Nido saga have to wait, though, as we concentrate on stretching a helping hand to apocalyptic towns of Leyte, Samar and Calauit, Palawan. I’m thinking of selling some of my best dresses (maybe half the price or less) for the benefit of typhoon survivors. What do you think? Some personal sacrifices posted on social media are sure inspiring.